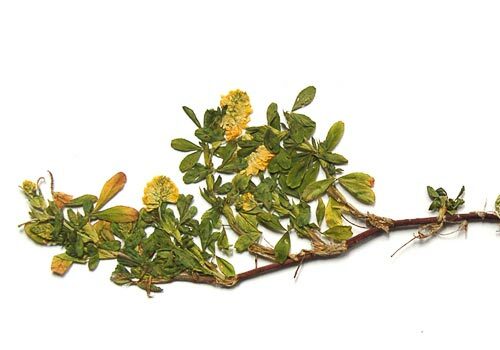 AgroAtlas - Relatives - Trifolium aureum Poll. - Large Hop Trefoil, Golden Clover. Trifolium aureum Poll. - Large Hop Trefoil, Golden Clover. Chrysaspis aurea (Poll.) Greene, Trifolium agrarium L., Trifolium strepens Crantz. Annual or biennial herbaceous plant. Stems 20-40 cm tall, ascending, usually intensely branching, covered with adpressed hairs. Leaflets 20 mm long, 3-10 mm wide, oblong-obovate or oblong-elliptic, obtuse or emarginate at apex, finely dentate in upper half. Flowers 5-6 mm long, golden yellow, by the end of blossom light brown, aggregated in numerous globose or oval heads on short axillary peduncles. Calyx 2.5-3.5 mm long, scarious, 5-veined, bilabiate. Pods obovoid, 1-seeded. Autogamous. Flowers in June, fruits in July. 2n=14. Fringes of birch grooves, kolki (insular grooves among steppe), upland and forest meadows, abandoned fields, among crops. Europe, Caucasus, Siberia, Far East (adventive).